Siloxanes, silanes, siliconates, and silicates are all types of penetrating sealers. They are different from other types of sealers because they penetrate into the concrete surface and form a protective barrier. Concrete sealers like epoxy and acrylic are topical in nature and form a protective film or coating on the surface instead of penetrating. Are you looking for the best penetrating concrete sealer? Read this Penetrating concrete sealer reviews to know more about it. So, if your main aim is to protect your concrete, waterproof it, defy stains, and prevent concrete dusting without worrying about having a gorgeous shiny finish, then the penetrating concrete sealer is for you. 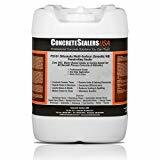 After spending more than 24 hours on the internet perusing through different types and brands of penetrating concrete sealers, I have selected 3 of the best performing concrete sealers that will offer you great performance, protect your concrete, and offer a great natural and non-slippery look. 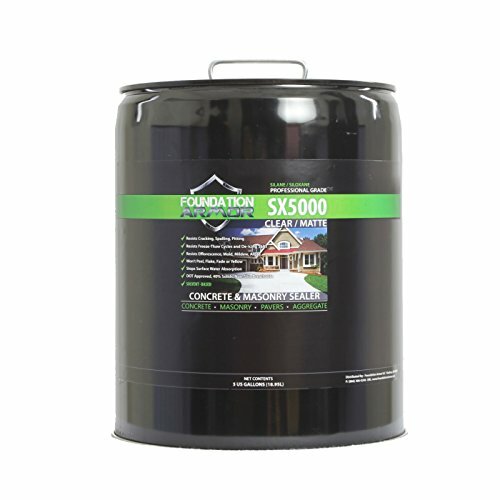 Made of a combination of silane and siloxane, Foundation Armor SX5000 penetrating sealer can help protect your concrete surface from deicing salts, spalling, cracking, pitting, mildew, algae, and efflorescence. It can be applied on both interior and exterior surfaces. A single gallon of the 5 gallons can cover up to 500 sq. ft. When properly sealed, it can last for more than 10 years and it is approved by the department of transport. The surface will maintain its natural look but it will not be slippery. It has a strong chemical smell and should not land on the skin. Put on necessary protection. Some users have complained that it leaves white discoloration behind after drying. Related: What is the best type of driveway sealer? PS101 siliconate is a perfect concrete sealer for curing new and machine troweled concrete and for sealing concrete and masonry surfaces. It has zero VOC. The water-based sealer is very easy to apply and dries fast. It leaves the surface looking natural and clear. But they also have color tints available. When applied properly, the siliconate sealer will protect your concrete driveway or sidewalk from deicing salts, inhibit the growth of mold & mildew, prevent thaw or freeze cycles, and reduce dust and efflorescence. Despite being sold at a slightly higher price than other sealers, Siloxa-Tek penetrating sealer is regarded by many as the best penetrating sealer on the market. 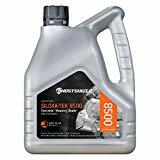 It is made of a mixture of silane and siloxane, which does a great job or repelling water. Apart from that, the industrial-grade sealer prevents deicing salt, mold and mildew build up, freeze-thaw damage, dusting, pitting, efflorescence, cracking, and spalling. The product is also very easy to apply and non-slippery. The surface will remain as it were before with its natural look after application. On top of that, it is extremely durable and approved by the transport department. 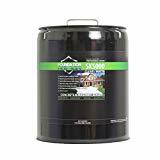 Whether it is Foundation Armor, PS101 siliconate, or Siloxa-Tek penetrating sealer that you choose for your lovely patio or pool deck, it will still deliver. Penetrating sealers are great at repelling water and stains. They will prevent mold and mildew growth and at the same time, they are non-slip. 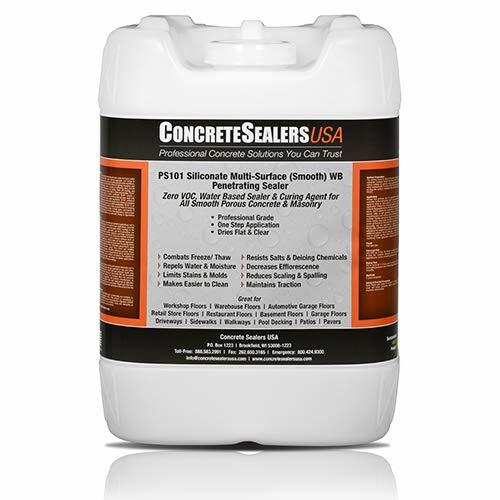 Pick the best penetrating concrete sealer that meets your needs and budget. Q. Are penetrating concrete sealers slippery? Ans. The best thing with penetrating sealers over the other concrete sealers is that they are not slippery. Other sealers are made up of formulas that make the concrete to be slippery when wet. Penetrating sealers are naturally non-slip. Q. How long do penetrating sealers last? Ans. Unlike other sealers on the market such as decorative concrete sealers, penetrating sealers last long as they don’t fade over time. So, as long as the pavement is protected, you don’t need to apply yearly or so. That’s why you have to select a high-quality penetrating sealer as it can last for at least 3 years. Choose one that is made with silane or siloxane. Penetrating sealers with silicate are the weakest, as they don’t offer great water repellency. Still, have a question after reading this Penetrating concrete sealer reviews? Comment below.